Contact Tennessee Defective Product Attorney The Law Offices of John Day, P.C. What is Bard Composix E/X Hernia Mesh? Bard Composix E/X mesh was introduced in 2000 as a method of ventral hernia repair. 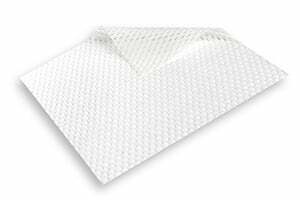 Bard Composix E/X is comprised of a polypropylene mesh on one side and a permanent submicronic ePTFE barrier on the other. The polypropylene side is supposed to encourage tissue growth into the abdominal wall in order to remove the need for sutures to attach the mesh. The other side allegedly reduces the likelihood of adhesions, fistulas and erosion of the mesh. What is the problem with Bard Composix E/X Mesh? According to surgeon’s findings, Bard Composix mesh can crumble and delaminate. The mesh can cause bowel adhesions, bowel obstructions and other serious problems for patients. How do I know if I have Composix E/X Mesh? When a surgeon places a foreign object such as mesh in a patient, the surgeon or nurse will place an identification label in the patient’s medical chart. This identification label or traceability label allows medical staff to know exactly which product was used because it provides information on the manufacturer, lot number of the product, etc. Our lawyers and staff nurse can request your medical records to obtain not only the traceability label but also the surgical reports and other pertinent information. Once we have those records, we can definitively confirm which product was used in your surgery. And please note: there are several hernia mesh products that are currently either the subject of recalls or litigation. So even if you do not have the Composix E/X Mesh, your repair may have involved another problematic product. I am having serious problems with my Composix E/X Mesh. What do I do? Call our award-winning lawyers today for a free, confidential, no-pressure case evaluation. We will review the facts of your case with you, answer your questions and explain your legal options. If we think we can help you and you decide to hire us, we handle all hernia mesh cases on a contingency basis, which means we only get paid if we recover money for you and your family. And, unlike some firms, we advance all case expenses so you do not have to pay a penny out of pocket to pursue your hernia mesh case. For more information on how we handle fees and expenses, click here. To get started, simply give us a call at 615-742-4880 (Nashville) or 615-867-9900 (Murfreesboro) or 866.812.8787 (toll-free from anywhere). Or, if you prefer, we will call you if you give us your contact information via this online form. At The Law Offices of John Day, P.C. we would be privileged to help you and your family. We have recovered millions of dollars for our satisfied clients and we would like to help you too. We emphasis “recovered” in the last sentence because lots of law firms will win a big verdict against an uncollectible defendant, which means the client gets or recovers zero money but nonetheless the lawyer will use the big verdict to try and attract other clients. At The Law Offices of John Day, P.C. if we don’t put money in your pocket, we do not consider it a win and will never use the verdict in our advertising. To get started, give us a call today.